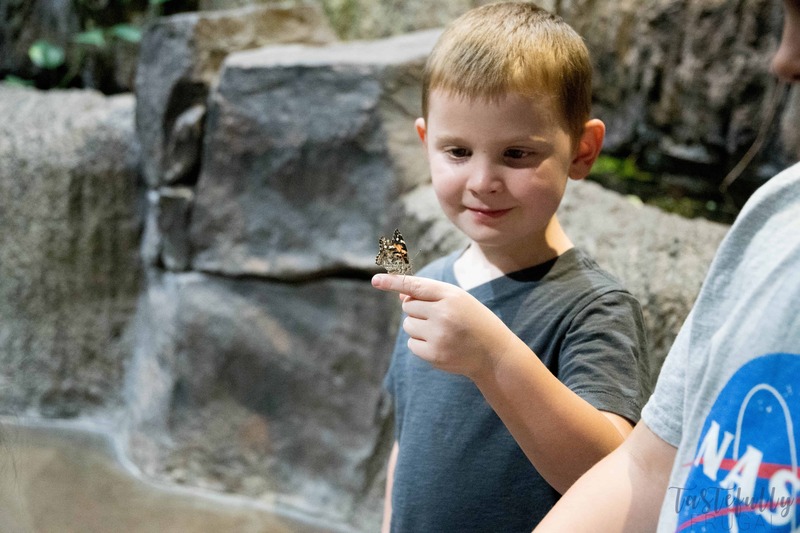 Spend the day at Loveland Living Planet Aquarium this summer for lots of adventures and fun! AND don’t forget to print your free bingo cards to take and play at the aquarium too! If you’re a parent, it’s inevitable that there will be one or two places your kids will ALWAYS want to go. For some it might be an amusement park or museum but for my kids it’s the aquarium! Not a week goes by where I don’t hear ‘Mom can we go to the aquarium PLLLLEEEEAAAASSSEEE? !’ And honestly I can’t blame them; the Loveland Living Planet Aquarium is one of my favorite places to visit too. It’s especially great during these hot summer months. 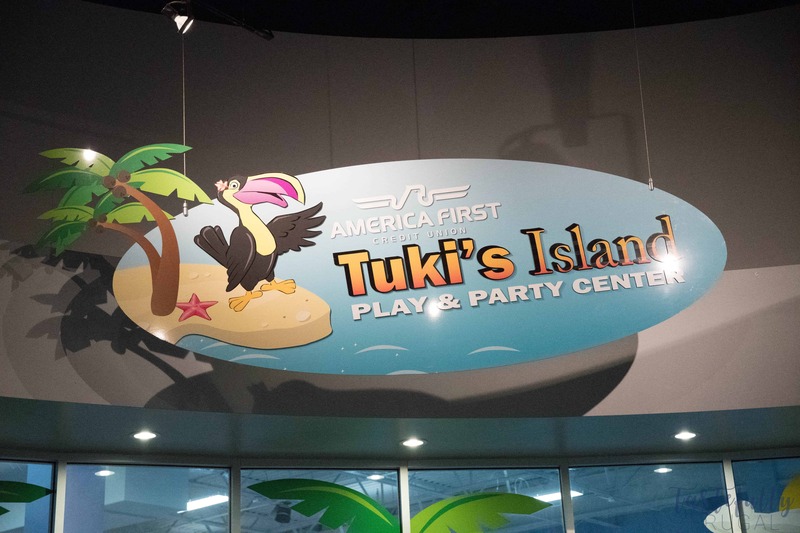 We can literally spend all day exploring the exhibits and playing at Tuki’s Island! And there’s so much to see, even with a membership, you are bound to see or experience something new with each visit. Today I want to share with you mine (and my kids) five favorite parts of the Loveland Living Planet Aquarium. 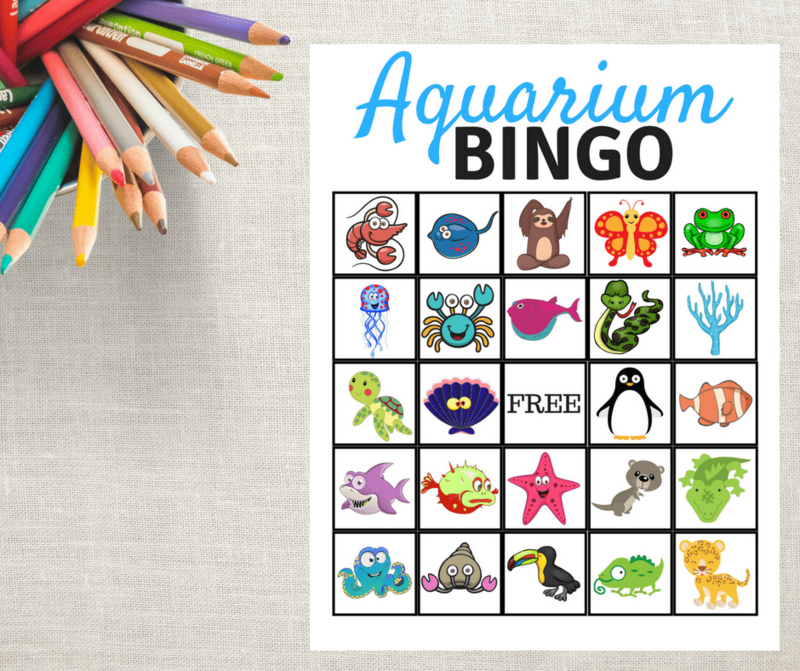 I also have made this FREE printable Bingo game you can print and take to the aquarium with you to add a little more fun to your trip too! Download your bingo cards here. The main reason you go to a zoo or an aquarium is to see the animals right?! And Loveland Living Planet Aquarium doesn’t disappoint! They have such a great variety of creatures to check out from fish to stingrays, octopus to sharks, butterflies and snakes, birds and sloths, they even have penguins and leopards! They have 5 different areas with unique animals in each. It makes going back a second, third or fourth time a breeze because you can easily pick up where you left off the last time. There are several different membership plans available and if you’re not sure if membership is right for you, you can buy a one day ticket and then if you decide you want to get a membership, your ticket price goes towards your membership! 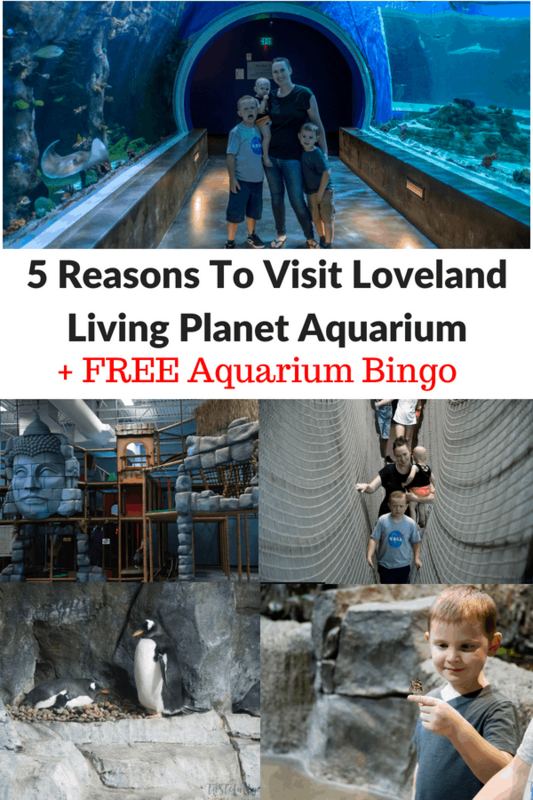 At Loveland Living Planet Aquarium they want your visit to be More Than An Aquarium and it truly is. 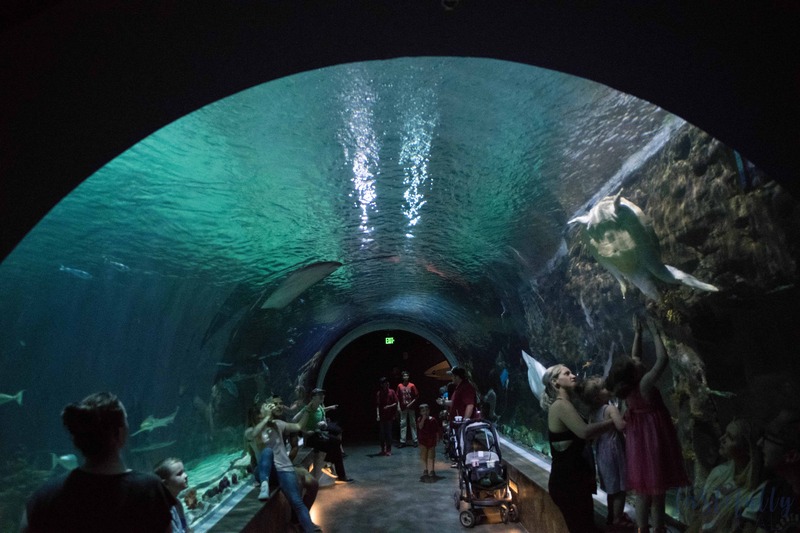 They have several hands on experiences included in your admission including the stingray ponds, sea urchin ponds, butterfly experience and live animal and reptile exhibits that change daily. They also have fun activities planned all summer including Pacific Islands Weekend, which was this last weekend and Shark Week which is July 22-28. 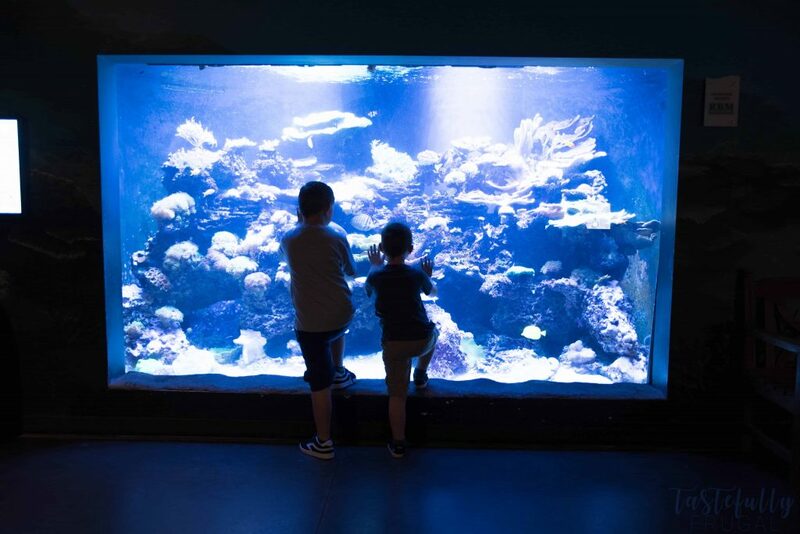 If you want an even more hands on experience, you can sign the kids up for Summer Camps where they get to get behind the scenes with the aquarium staff and get goodies to take home with them too. Yep you heard me right – they have FREE 4D Movies included with your admission. They have movies playing throughout the day and they are great for all ages. My boys (who are 5 and 6) really liked Sammy & Ray, an animated movie about sea turtles, but there are also movies for older kids too including a movie about wild cats and penguins. The movies are all 30 minutes or less so they are great for keeping kids’ attentions and giving your legs a break. 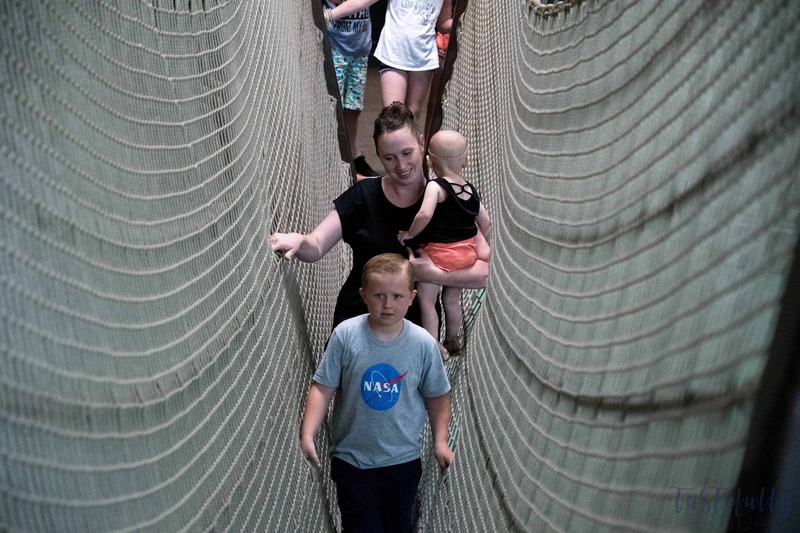 Whether it’s the rope bridge in the Journey To South America, the Stingray Touch Pond in the Ocean Explorer or the Deep Sea Lab in the Antarctic Adventure, there are never ending places for kids to run, play and get their wiggles out. 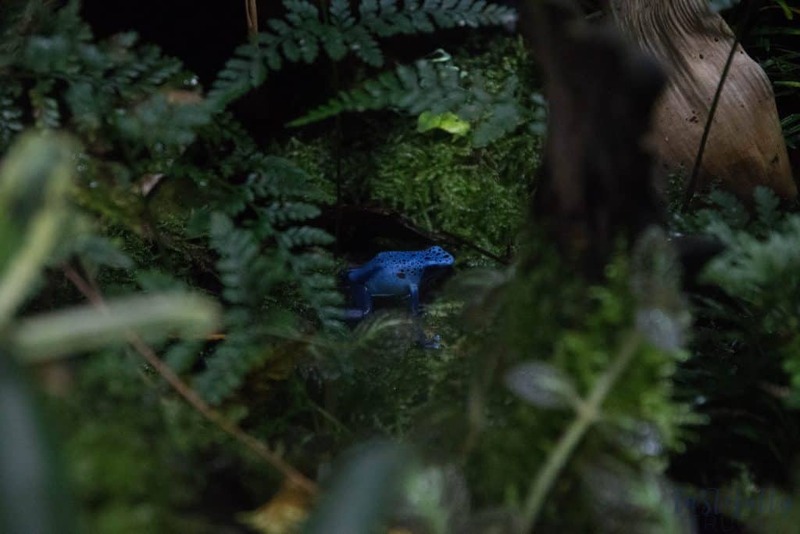 The Loveland Living Planet Aquarium does such a great job of making your experience more than just a trip to the aquarium. Not only do kids have fun but they are learning too! Speaking of places to play, we always end our visit to the aquarium at Tuki’s Island. 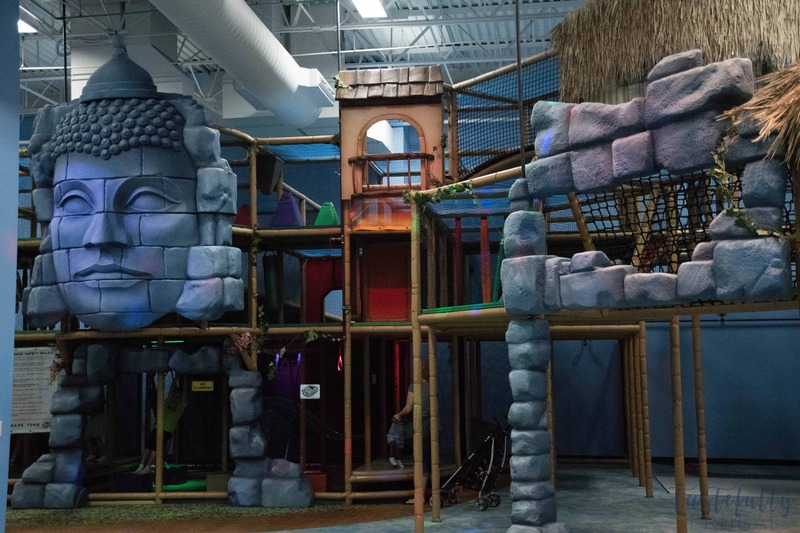 It’s an indoor play gym that’s every kids’ (big and small) dream! It’s also a great place for parent’s to relax. They have couches and tables, a restroom inside making the inevitable potty breaks a little more easier and even activities for the youngest kids including a toddler play area and books you can read to your littles. This is also where your party room is if you do a party at the aquarium. 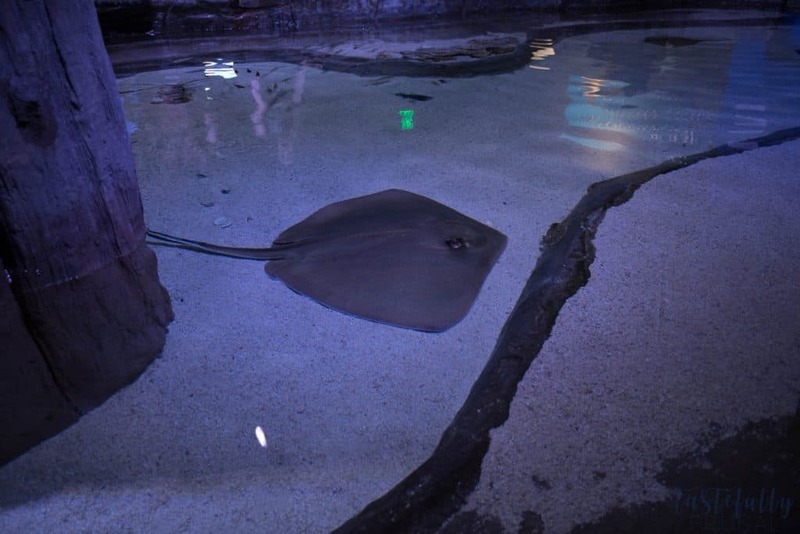 The aquarium is a great place for a kids’ party! They take care of all the details including food and drinks so you can focus on having fun. You get a private room for 2 hours, unlimited access to Tuki’s Island and the aquarium for up to 40 guests. We’ll be having Mahle’s 2nd birthday there in the fall and the kids can’t wait! 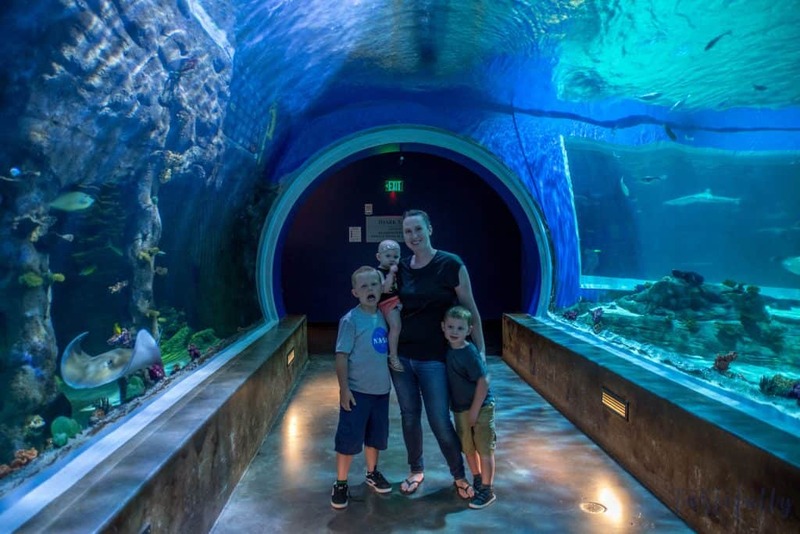 These are just some of the reasons why we love visiting Loveland Living Planet Aquarium and why we visit several times a year. You can buy your tickets online here (including discounted family night tickets) or check out the membership options here. 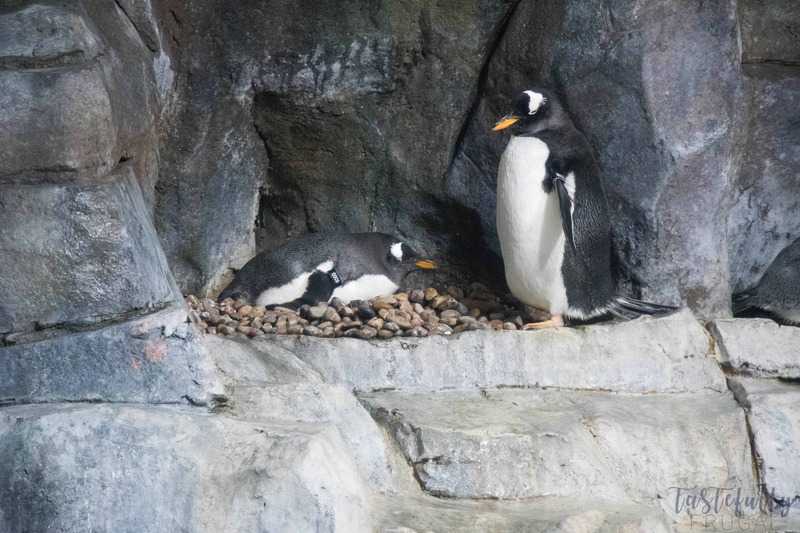 Have you visited the Loveland Living Planet Aquarium? What’s your favorite exhibit? So many fun things to do at this aquarium! And I LOVE the free bingo print out. Thank you!